Happy New Year from the jobsite in Shawnee! The Primrose is moving right along, and we have a targeted completion date of February 1st. The brick and stone is complete on the exterior. The drywall, trim and cabinets are also complete. The floorplan continues to amaze us with the way it opens everything up, and packs so many features in 2,047 square feet. We are really excited about the mudroom, and huge laundry! We have amazing vaults in the family room, master, and bedroom #2. We have a huge master shower, free standing tub, and wait till you see the lighting! We have an amazing lighting and fan package picked out from our friends at Feiss and Monte Carlo. I guarantee you wont find anything else like it in Shawnee. We have sparred no expense, and our floor, tile and carpet choices should delight our lucky homeowner. If we can get the heat turned on (please ONG!) we have a busy couple of weeks. We plan on flooring, tile, paint, and granite! If your looking for a great house, packed with upgrades, in a beautiful subdivision look no farther than American Country Estates! Things are moving fast again at American Country Estates. 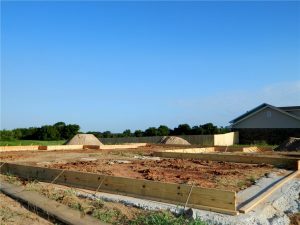 Our new model, Primrose, is in the ground and framing should complete this week. We have sold both the Landry, and the Satchwell in record time. We also sold two of our best building lots to other builders. The community is really starting to attract so much attention. Our calls have increased and we have showings on our houses as they come out of the ground. Many people have commented about our homes being “different”. 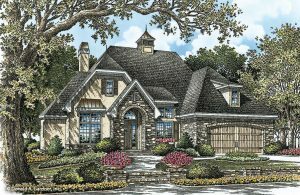 We have great elevations, huge vaults, and believe in amazing custom features. We are also hearing the buzz from the NEW North Rock Creek High School opening in 2018! We just ordered windows for the Primrose. We selected low-e vinyl windows with argon gas for added efficiency. The roof should start this week, and we are using OCF Oakridge shingles in the Brownwood color/finish. I’ve been pushing for an awesome “brown” house for sometime, and Nina finally gave in! We will be visiting OKC, and Shawnee this weekend to make our final selections for brick, stone, flooring, tile, lighting, and so much more. We are so excited for you to see this new plan. The Primrose incorporates all the great features that everyone has been asking for: BIG Pantry, Large Closets, Expanded Family Room, Mud Room, Etc…And, we did it all in 2,000 SF. You are going to love it! You can check out all the details through our website link (just click here). We have updated our Restrictions and Protective Covenants! Our Second Amended And Restated Restrictions And Protective Covenants, were filed on March 10, 2017. Although our previous Restrictions and Protective Covenants were very good, we felt a need to tighten things up as we are selling more lots in the neighborhood. 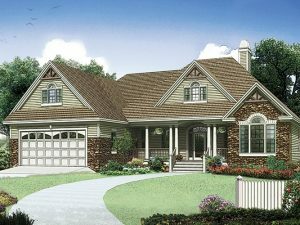 1,800 SF minimum home size, as well as a minimum two car garage. We required that exterior wall construction be a minimum of 60% brick and stone. If you purchase a lot from us, you must start construction within 36 months, and complete construction within 9 months of starting. We provided additional clarity to the types of approved and not approved fencing. We further defined the type and size of approved out buildings. We added language to support a subdivision monument sign, at the corner of Carefree Lane and 1070 Road. First a big thank you! Our friends have pushed over 1,590 page likes, the most of any builder in our area. Our posts are always some of the top performing posts. People are engaged and active. Lots of opinions and we love them all. And, Finally a HUGE thank you to our subcontractors, suppliers, and Project Manager Jake Clanin. We simply could not do any of this without you! We have moved into the trim phase of our two new models and things are really coming together. We are also pouring driveways, sidewalks, patios and porches. Its been a very busy week. The painters have also started on the interior of Lot 5/Blk 2 which is the Landry (11656 Carefree Lane). 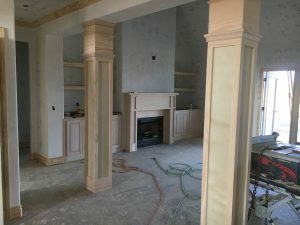 Our first picture is the family room of the Satchwell (Lot 11/Blk 1 – 11519 Carefree Lane) shot from the dinning room. 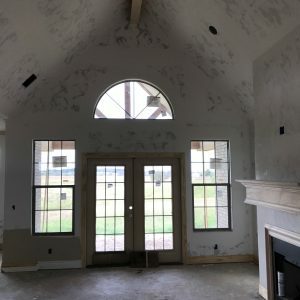 Huge vault, awesome fireplace, custom built ins and columns. This is your view as you walk in the front door. Total wow factor! Not to be outdone, the Landry also features dramatic vaults, and amazing windows. This picture is the family room to the porch. And, oh yeah the rear porch is vaulted as well! Notice the wood beam which will be stained to match the kitchen cabinets. I’ve loaded some pictures on our website, but with soo much happening this week, I held back on the number of new photos on each house. This week and next: exterior paint, interior paint, granite, electrical fixtures, and plumbing. Should be exciting! 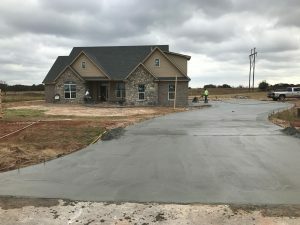 1070 road has been paved! Wow, what a nice surprise! After getting rural water to our subdivision in the summer, I returned last week to find 1070 road paved! The county paved it using “chip sealing” which is the combination of asphalt and a fine gravel top coat. It provides a great driving surface, excellent longevity and very little to no dust. Our addition is fully paved, so come on out. We have all the amenities, two amazing homes under construction, and beautiful views. We are 5.2 miles north of I40 on Kickapoo, to 1070 Rd, then 1/2 mile west on 1070 to our addition. Its the “hottest” part of Shawnee, and our subdivision is the main reason why! Greetings from American Country Estates in Shawnee, Oklahoma! We continue to move fast, we are now just 30 days into construction. A good time to catch up with everyone, and give you my top five impressions from last week. 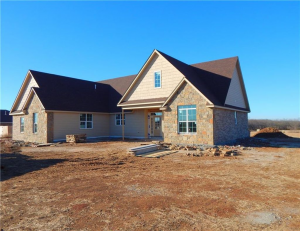 1) Location, Location, Location – American Country Estates is just a 6-8 minute drive north down Kickapoo from the new center of town in Shawnee (I40 & Kickapoo). New malls, shopping, and great restaurants! If you haven’t tried Garage Burgers, you are really missing out! Yet, when you get to the addition it is surrounded by breathtaking country views in all directions. Truly city convenience and country charm. We have rural water, CVEC electricity, and ONG gas. 2) Amazing Elevations – The Landry and Satchwell both feature tall roof lines, multiple peaks, and real stone/brick exterior finish materials. The 12/12 pitch roofs are worth a visit. The windows are anything but standard, and add a custom touch to the impressive architecture. The homes have amazing curb appeal and blow you away before you even step inside. I really can’t wait to see the stone and brick which is being installed this week. The opening picture is the street view of the Satchwell plan. 3) Vaults, Coffered Ceilings, and 9′ Walls – The standard 9′ exterior walls make everything feel open and airy (is that a word?). Everywhere you look ceilings are vaulted or coffered to create such a dramatic feel to the floor plans. The windows light up each room and provide dramatic views of the country. This picture is from the kitchen looking out at breakfast room of the Satchwell. 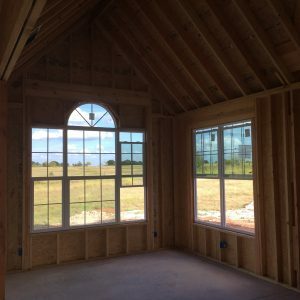 You get the idea, vaulted ceilings, big windows and gorgeous views! 4) Are we really just 30 days into construction? – Jake Clanin and his amazing Team of subcontractors are doing a great job! We were hoping to finish construction in 120 days, but we may just make it in 90 days. 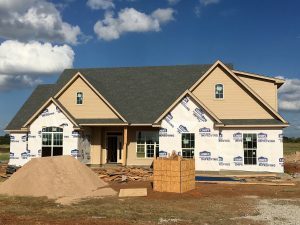 If you are looking for a home, we should be ready by December 1st! 5) Storage, Closets, Bonus Rooms and Garages – These homes have a ton of storage, such as the under-stair storage you can access in the garage. Huge bonus rooms which could be used in soo many different ways (pool table, theatre, playroom, bedroom, ?). We continue to tweak the floor plans to find more storage and closet space. The Landry garage is a full 690 SF, yes that is bigger than most three car garages, and the Satchwell garage is 540 SF! Lots of space for all of your toys! Pre-Sales have started and we have had many interested buyers out to the jobsite. You can check out the details on our website by clicking this link. I look forward to checking in again with you soon! Next up is paint colors, granite, and flooring! Stay tuned! Nina and I visited the jobsite last week to check on our progress and make color and finish selections. Jake is doing a great job really pushing the houses and keeping a close eye on quality. We are less than 30 days under construction and things are moving fast. The Landry is fully framed, the roof is on and electrical and HVAC is being installed. We will finish framing the Satchwell this week and the roof will go on Wednesday, or Thursday of this week. Not bad for our first 21 days! If you haven’t been out to see these houses, you really should. The elevations are top notch and the views are amazing. We have real stone, brick and siding (upfront for color) exteriors. The brick on the Landry is coming out of Texas, and the grey brick for the Satchwell is on its way from Colorado. We were trying to avoid the same old red clay bricks that you see everywhere in town. I figured we had enough red clay in our front and rear yards why did we want a red clay brick! The rooms are all big and open and the 9′ walls and vaulted ceilings give everything a warm and inviting feeling. 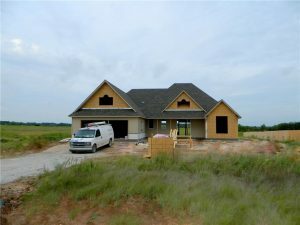 Everyday we get more excited to see the finished homes. Rural water is coming down 1070 and should hit the subdivision anyday now. So these homes have not only rural water, but ONG (Gas), ATT (phone) and CVEC (electrical). You going to love the subdivision. We have the peacefulness of a country setting, but we are only 5.2 miles from I40 and Kickapoo. I will be out next week to do a final walk on electrical and framing before we drywall. We set an aggressive goal to complete these homes in time for the holidays, and that looks clearly in reach. We have had a lot of interest and even a few showings, so you don’t want to wait too long. I expect them to be sold well before completion. I want to thank our incredible Team and Subcontractors for working hard everyday to make American Country Estates a success. We couldn’t do it without all of the amazing local contractors, and suppliers! Release two has officially kicked-off this week with the pouring of our slabs on Monday. We are so excited to build these new floor plans. 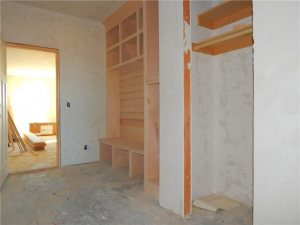 Our two new homes feature great interior details, and a fully finished bonus room above the garages. They are also going to be move in ready with allowances for blinds, front yard landscaping, and rear yard fencing. You really need to check out our standard features and compare our homes before you buy anywhere else. We are also including a full 10-year limited structural warranty from Residential Warranty Company. Framing will begin this week and we can’t wait to get everyone who has shown interest out to the jobsite for a visit. Color selections start next week, and the exteriors will be the exterior color themes that you have selected on Facebook. The Satchwell will be based on a “grey” palate, and the Landry will feature brown/earth-tones. We will soon be posting our exterior stone selections as well as our interior flooring and granite. Jake is doing a great job, and we have our sights set on a four month completion. If we get some cooperation from the weather, we should have you ready to move in your new home for the holidays. Please feel free to stop out anytime and visit our jobsite. We love all your feedback, so keep the ideas, and suggestions coming! Rural Water, New Models, And Starting Release 2! Lots of exciting news from American Country Estates. Its official, we now have rural water to the subdivision! We are soo excited to add this to our list of utilities. Things have really been heating up, and not just the weather. We closed this month on our last remaining home in Release 1. So, Release 1 sold out in just 90 days after our first sale. We welcomed our third family to our growing community of homeowners. All are enjoying the subdivision with its beautiful setting off 1070 Road. 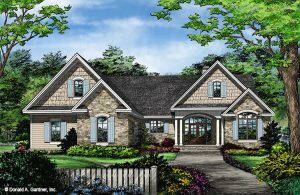 We started construction this week on two new homes, and both are new model for us. The Landry and the Satchwell plans. These are slightly larger homes featuring amazing amenities and bonus rooms above the garages. We cant wait for you to check out all the details on our website. We have added great new features with these plans. These homes include a blinds allowance and rear yard fence. 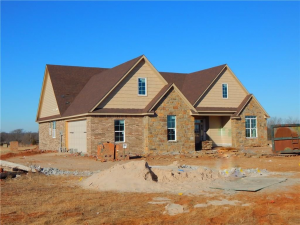 Our goal is to complete these homes with everything you will need to just move in! I’ll keep you posted on our progress. If you are interested in either floor plan, don’t wait too long. 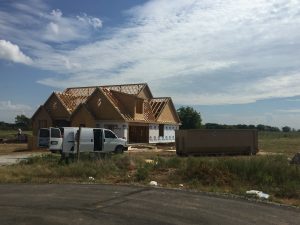 Interest has been high, and I’m sure they will sell before completion. One added bonus if you buy now, is that you can choose the colors, and finishes to make this truly your own custom designed home. We say goodbye to a good friend Helmut Ogris, who is staying in Las Vegas to pursue other opportunities. We really want to thank Helmut for his contributions to our awesome community. We are really excited to welcome Jake Clanin to our Team. Jake will be the Project Manager for both the Landry and the Satchwell. Jake brings a strong local presence and a great reputation. We are really excited to work with Jake going forward. 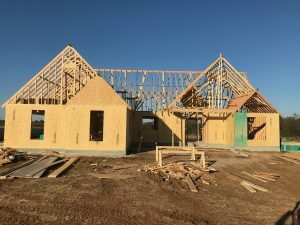 So, much for a quick update…All the updates are on our website, including the floor plans, elevations, and standard features. So be sure to check it out. I hope you are having an amazing summer!